Little is still known about the exact causes of irritable bowel syndrome. An international team with significant involvement from the Technical University of Munich (TUM) has provided initial clues about the organic triggers of the disease, which affects an estimated one out of six people. Over the course of eight years, an interdisciplinary team with several clinics in Europe led by Professor Michael Schemann from the Department of Human Biology at TUM searched for a putative biomarker to identify organic changes in irritable bowel syndrome (IBS). "So far, IBS is mainly a diagnosis of exclusion," Professor Schemann said. "Therefore, our aim was to find a biomarker that helps to diagnose irritable bowel syndrome, at least for a certain patient group." A major pathogenic factor of IBS is an altered function of nerves in the intestinal wall triggered by molecules released in the wall, in particular from the intestinal mucosa. This can be experimentally mimicked by mucosal biopsy supernatants from IBS patients whereas supernatants from healthy controls show no nerve activation. For two reasons, the team also studied supernatants from patients with ulcerative colitis in remission (UC). First, IBS is considered as a mild form of inflammatory bowel disease. Second, patients with quiescence ulcerative colitis report IBS-like symptoms. The supernatants from these patients also activated neurons. As another common feature, the researchers found that the nerve activating properties of IBS and UC supernatants were mainly due to proteases, which are not only enzymes but also important signaling molecules. However, there was an important difference. While the nerve activation from IBS supernatants was mediated by proteases signaling via the protease activated receptor type 1, this receptor played no role in the effect of UC supernatants. This finding was the motivation to study in detail the protein and in particular, the protease levels in the supernatants. Indeed, the researchers found an IBS-specific protein pattern, in particular an IBS-specific protease profile. 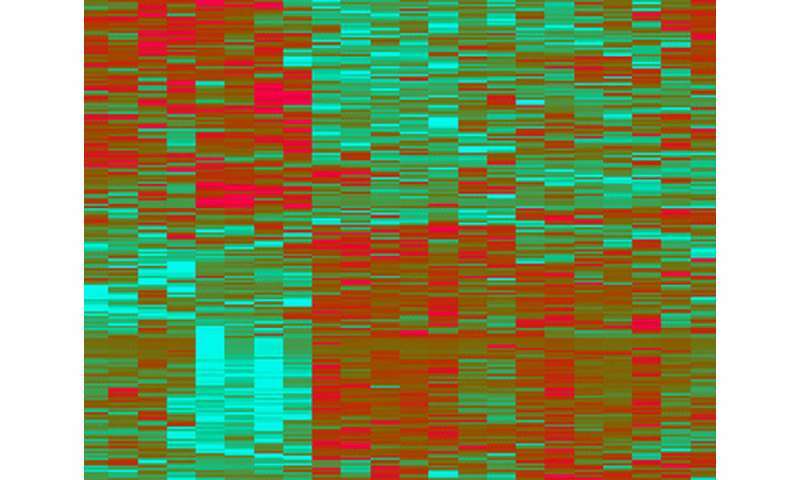 Proteome analysis revealed 204 differently expressed proteins in IBS supernatants and 4 proteases that were only enhanced in IBS supernatants. Finally, the team addressed the translational relevance of the finding by asking how they could influence the nerve activation, besides using PAR1 blockers. They experimented with a protease inhibitor from a probiotic Bifidobacterium longum strain. This inhibitor blocked the nerve activation triggered by the IBS supernatant. "In summary, we can conclude that protease profiling is a promising strategy for the development of irritable bowel syndrome biomarkers," said Schemann. "They provide additional evidence for a defined organic causes for irritable bowel syndrome."